What makes BELLA+CANVAS T-shirts so Soft? 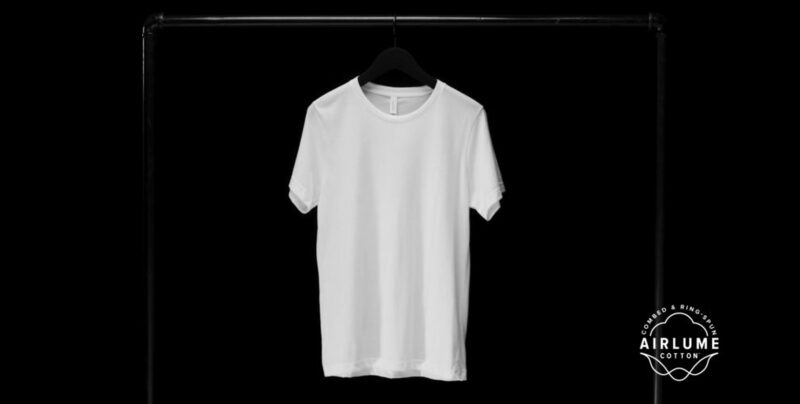 The type of cotton used to make a tee has everything to do with its quality and softness, but not all ring-spun tees are created equal. There isn’t much regulation around the cotton and fabric industries, so it’s easy for manufacturers to do the bare minimum when it comes to combing and processing their cotton and still claim a “combed and ring-spun” product. But what makes BELLA+CANVAS t-shirts so soft? Well, we don’t cut any corners. At BELLA+CANVAS, we take measures at every stage of our fabric development process to engineer the highest quality combed and ring-spun cotton on the market, and we do it in an eco-conscious way. The result, called Airlume, is what makes BELLA+CANVAS t-shirts so soft. Read below for what makes Airlume combed and ring-spun cotton different! Did you know that any manufacturer can claim a combed and ring-spun cotton by combing out just 1 percent of impurities? Well, our process begins with creating the most clean cotton. About 25 – 30 percent of the cotton we start with is combed out during our unique refining process, because it contains impurities or does not meet our standards. For some manufacturers, some of that inferior cotton is then dumped back in before the yarn spinning process, but for us, once it’s combed out, it stays out. When creating BELLA+CANVAS t-shirts, during the Airlume process, we use only long staple cotton. That means the actual length of the cotton fiber is long, which determines that ultimate soft feel of the final yarn. By using long staple cotton, there are less stray fibers, which keeps our yarn smoother on the microscopic level. This also makes for a tight, even knit, which can be seen easily by the naked eye, especially when it products an ideal surface for printing. The unique innovation continues even until the dyeing process. We use seven times less water than any other apparel manufacturer and only use the most eco-friendly dyes. There’s a right way to do combed and ring-spun, and it’s through our Airlume process that BELLA+CANVAS t-shirts are made with the industry’s softest cotton.